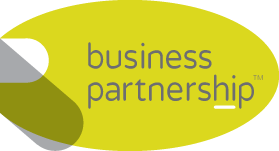 Located throughout the UK, Business Partnership’s experienced regional partners all offer an important service to business buyers and sellers alike – valuation. It’s a straightforward enough process, you may think. After all, our over-riding objective is to provide impartial, professional and accurate advice to secure the best outcome for our clients, whether they have a leisurely retirement planned or are embarking on an exciting new business journey. However, every so often the situations we are asked to get involved in are very different from ‘the norm’ and give our partners the chance to demonstrate their considerable mediation skills. Business Partnership chairman Alistair Glaze explained: “Our independent valuation service is increasingly in demand across three areas: shareholder disputes, pre-nuptial agreements and divorces. “Valuations for pre-nuptial agreements can relate to properties and businesses and usually come into play when both parties are getting married for the second time or are more mature. They may each own their own property so there may be a disparity. “We can also help couples who are getting divorced and who have joint ownership of a business or, for example, when two people have been in business together but one has decided to pull out. If you require a valuation, you’re in safe hands with Business Partnership – our priority is providing honest advice with your best interests at heart. Contact your local regional partner today to arrange a valuation.